Disclosure: I received the Endless Summer Voxbox Complimentary from Influenster. Provided I give an honest review. I apologize but I did not try the Iron-Tek essential protein because I was concerned about using it with some of my medicines I take at the moment. I also feel in order to get a full true review you would need to have the product for at least a month to use. You normally will not see a difference in just one try of something. I don't know how much other protein powder usually costs. But I believe this is close in range of the other products. It says for 30 servings you pay $44.99. I believe that is before tax. When I tried on the eyeliner I found it went on a little bit easier than some eyeliners I have tried in this style. I did find sadly this eyeliner was hard to stay on even just doing my makeup. I have allergy issues some some products that do not work well for sensitive skin and allergies make my eyes water. This is the reason why it was already coming off and I had to go over it with my other eyeliner I use. The Mascara again I had the tearing up eyes because of allergies. 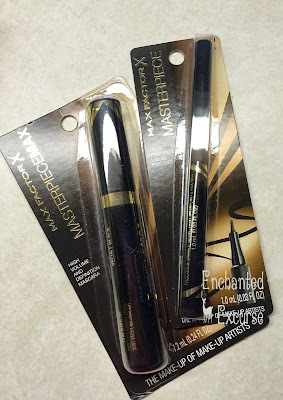 I could not tell any difference in using this mascara to the Cover Girl mascara I use. I just found it to be similar to a lot of your other mascaras sadly. I was hoping for a difference with these products compared to what I normally get. At least the prices for these products are not extremely high. That is one plus to these products they are around the same price as the drug store mascara and eyeliners. Me with the product on my eyes. I found I had to put three coats of this nail polish on my nails to fully coat them. Otherwise they would have had streaks and not have been evenly coated. I did not notice a difference in chipping with the top coat on, compared to if I didn't have one on. I will say I love the color though! It is perfect for year round, but I am not sure if I would ever purchase this brand. Numi claims to be 100% Organic tea. I love trying new teas, but of course that doesn't mean I am going to love the taste of them. I have issues with tea with caffeine a lot of times because of how strong they can come off. The only tea I feel I can handle with the caffeine is the Green teas. I will say that is the only tea I enjoyed out of the choices they gave me. I always love to add raw pure honey to my teas for my natural sugar. It is much healthier than sugar or artificial sweetener. I will have to try the other types they offer though, because I have always found their brand good and affordable. I found the smell of this conditioner a bit to strong and like perfume. I will say it did it's job as a conditioner, but it was the same result with my hair compared to the conditioner I already use. I would spray it on my still wet/damp hair after my shower. One plus I did find interesting is that it didn't leave my hair greasy, as I would assume any leave-in Conditioner would do to my hair. I normally would have issues with this because I just have naturally oily skin and hair. So normally leave-in conditioner is usually a no go for me. Other than that if they had a different smell to try I might try this brand again. Because sometimes it just seems easier to spray in a conditioner than put actual conditioner in my hair and then have to rinse it out.